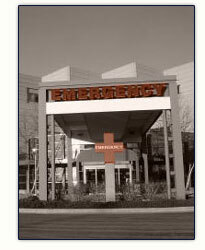 Much of the medical negligence occurs in the emergency room. Often an emergency room is very crowded and not enough time is spent with the patient. More and more hospitals are employing nurse practitioners and physician assistants to cut cost and emergency room negligence occurs because of the lack of training. Some medical malpractice examples of Emergency Room negligence are: failure to diagnose and failing to treat. Hospital emergency rooms are places where life and death often hang in the balance. Appropriate and timely responses by the emergency room staff are critical to the survival of many victims who arrive at the ER. Negligence in diagnosis and treatment in the ER can mean serious harm, permanent disability, or death for patients. The Medical Malpractice Attorney has successfully litigated many cases involving emergency room negligence. If you need a medical malpractice attorney in Dallas, Texas call an attorney The Medical Malpractice Law Firm.